Beautiful fresh okra & tomatoes are in abundance in our area right now. They are inexpensive and are growing in just about every backyard this time of year. Yesterday I made a huge batch of Smothered Okra, enough for supper and freeze for later. 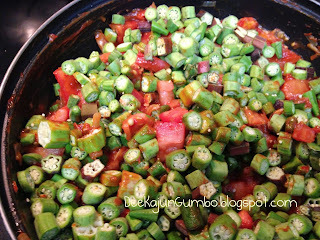 I thought I would also include the added health benefits of Okra, it is truly a Super Vegetable ! 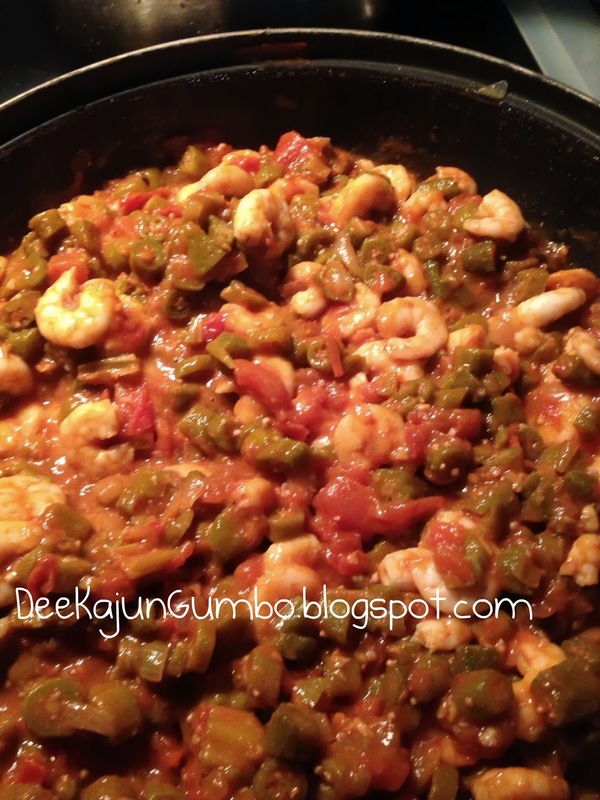 Okra is low in calories. One cup of raw okra is only 31 calories,. 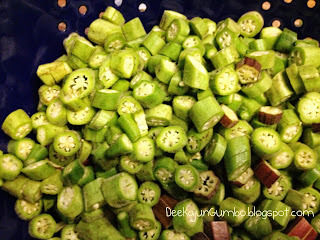 Okra is also high in calcium, fiber, vitamins C & K, protein, foliate, manganese and magnesium. They are rich in B-complex group of vitamins like niacin, vitamin B-6 (pyridoxine), thiamine and pantothenic acid. Combine all that with the added benefits of tomatoes which are an excellent source of Vitamins A, B6 and C, potassium & thiamine. 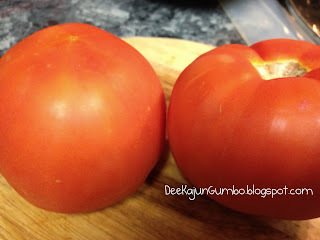 Tomatoes are rich in lycopene, powerful antioxidant that decreases the risk of certain cancers and heart disease. This dish is a powerhouse of nutrients! *While This family recipe includes canned tomato paste, I have eliminated canned goods from our home. I now can my own. Sauté onions & garlic a large cast iron or nonstick skillet with olive oil until onions are soft, stir frequently careful to prevent garlic from burning. Add okra, tomatoes, tomato paste & all the remaining seasonings. Cover & cook on low heat, stirring occasionally until the okra is soft slime seems to break down & disappear (about 15-20 minutes). It looks delicious! My wife refuses to cook foods she doesn't enjoy, so I would have to cook this by myself and eat all by myself. My mom was an Okie. She didn't know how to cook veggies unless they were dipped in egg and rolled in corn meal. 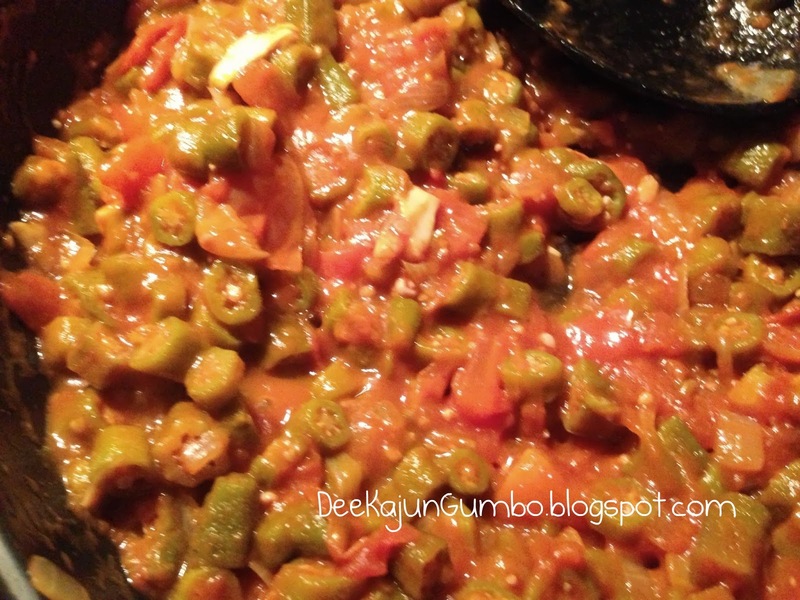 So I grew up on fried okra, along with fried eggplant, fried zucchini, etc., etc. I'm from NY...I've never had Okra! Definitely should try it one of these days.